The Second City of Black America | Los Angeles Review of Books Most of the greatest black American artists, intellectuals, and businesspeople of the midcentury came from places like the Hill, Watts in Los Angeles, Bronzeville in Chicago, and, above all, New York City’s Harlem. PITTSBURGH,” THEY TELL YOU when you move here, “is a city of neighborhoods.” About 90 of them, in fact. Neighborhoods are defined largely by topography in this city of three rivers, 446 bridges, and about 10,000 creeks (or “runs” in the local dialect) and ravines and bluffs. Some neighborhoods are tiny and obscure; others are nationally known. Downtown, or the “Golden Triangle,” is baffling, for the city planners inexplicably decided to smash two grid plans together at a 30-degree angle. Shadyside and Point Breeze still display the remnants of the industrial city’s aristocracy. Squirrel Hill’s permanent residents are heavily Jewish, but college students throng Squirrel Hill’s threadbare commercial strip, Murray Avenue. And then there’s the Hill, Pittsburgh’s best-known African-American neighborhood, the setting for most of August Wilson’s 10 Pittsburgh Cycle plays. (The recent motion picture of Wilson’s Fences  was largely filmed in the Hill.) Swollen with Southern refugees from the Great Migration and beset by the legal and economic and social racism of the time, northern African-American neighborhoods like the Hill became vibrant centers of culture after World War I, and remained so through the late 1950s, when “urban renewal,” crime and violence, and continuing segregation began to decimate them. Most of the greatest black American artists, intellectuals, and businesspeople of the midcentury came from places like the Hill, Watts in Los Angeles, Bronzeville in Chicago, and, above all, New York City’s Harlem. 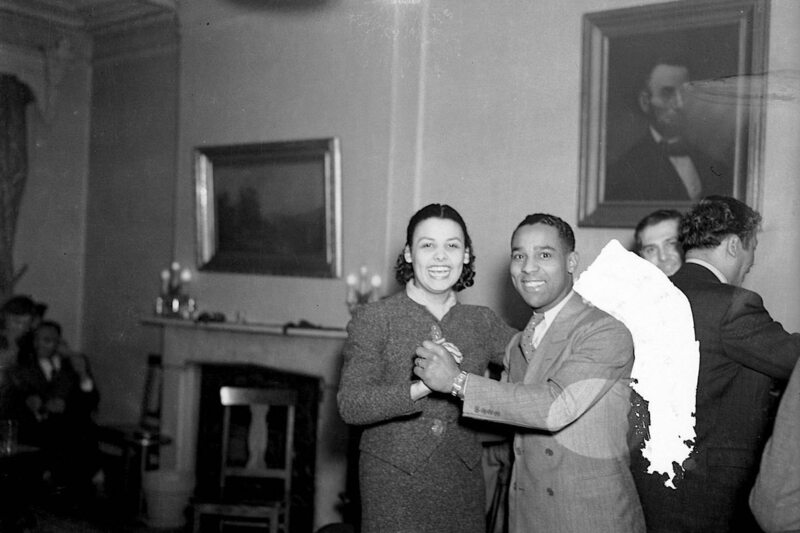 From left, the dancer Charles “Honi” Coles, Billy Strayhorn and Duke Ellington in Pittsburgh. Courtesy of Getty Images/Teenie Harris Archive/Carnegie Museum of Art.